Three of the greatest minds in Franciscan theology, Ilia Delio, O.S.F., Franciscan Keith Douglass Warner, O.F.M., and Pamela Wood, come together to discuss one of the greatest crises of our time--the destruction of the Earth. 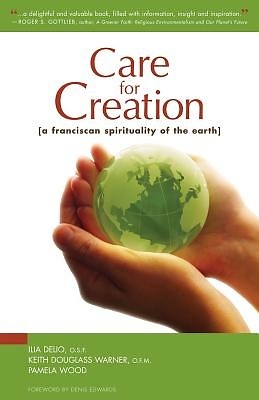 This book takes both a theological and practical approach to developing a Franciscan spirituality of the earth. Four sections highlight the distinct relationships creation has with the world: incarnation, community, contemplation and conversion. In this meticulously researched book, the authors propose ways in which we can all understand our own roles in relationship to the Earth and ways in which we can make it better. Each section offers reflective action opportunities designed to bring the book's ecological and theological insights into the reader's daily life and nurture a Franciscan spirituality of the earth. Prayers, meditations, spiritual practices and group activities are offered which provide a practical hands-on approach to reconnecting with the earth and acting in right relationship.